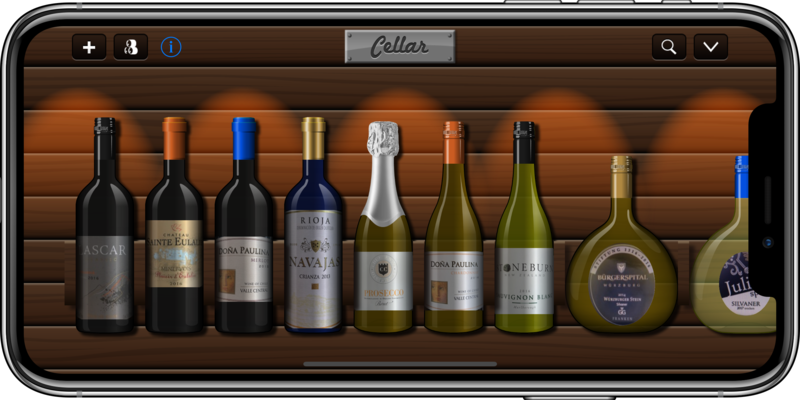 Airsource are delighted to announce the release of Cellar 2, on the Apple App Store! Cellar 2 takes the original wine-management app that everyone loved and remasters it. Edit and view your wine in landscape or portrait, either in a beautiful Cellar mode that shows actual bottles, or in List mode if you want to see more information about your wine. Full support for large screen devices like the iPhone XS Max. We've added the Bocksbeutel bottle shape by popular demand. And we didn't want to add Bocksbeutel without the round labels that often accompany that kind of bottle - so we did that too. More new features in the app - try it with our 14-Day Trial for free! If you are an existing Cellar user you can get a discount on the full version of the app. Using it is "almost as fun as drinking the wine you collect" - Michael Rose, tuaw.com. Cellar is designed to keep track of your wine, and remember what to buy next time you visit the store, thanks to the app's unique 'Garage' feature. Organizing your wine collection has never been so much fun!